Even with applause and accolade, chef Eric Ripert has kept his culinary kingdom rather manageable. With restaurants in only a handful of cities across the East Coast – D.C.’s Westend Bistro, Philly’s 10 Arts, and Blue on Grand Cayman Island – Ripert has the recognition without the schedule, present most nights in the kitchen where he found fame, the Michelin-starred Le Bernardin. 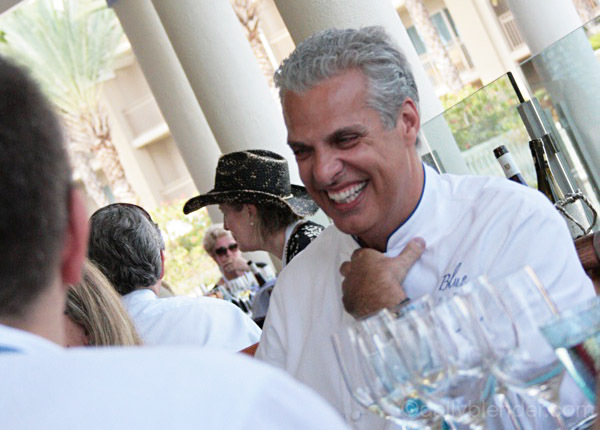 A classically trained chef and military veteran, Chef Ripert began at the New York City restaurant in the early 90s, taking on the role of executive chef after original owner and chef Gilbert Le Coze passed from a sudden heart attack in 1994. With Ripert at the helm, Le Bernardin has been recognized by media around the world for offering top-notch food, wine, and service, including numerous best chef awards. Over the years, Ripert’s role has expanded to part-owner of the legendary spot, but as most chefs can attest, his heart always remains in the kitchen.